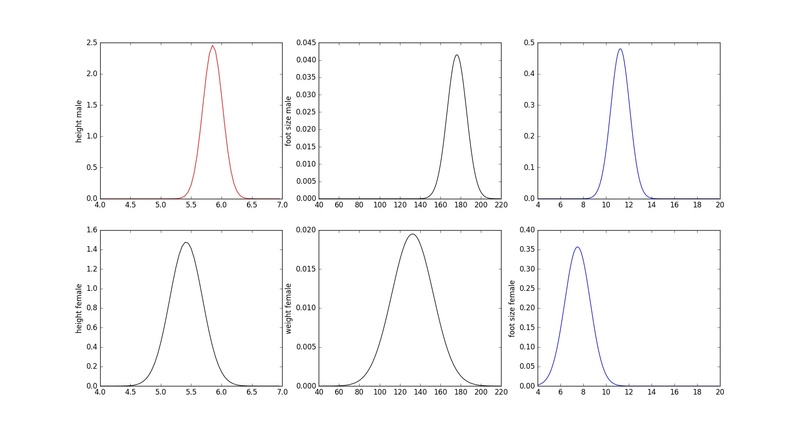 In this tutorial, I explain the “Maximum likelihood” and MLE (maximum likelihood estimation) for binomial and Gaussian distribution. This entry was posted in Machine Learning, Tutorials and tagged binomial maximum likelihood estimation, Gaussian maximum likelihood estimation, machine learning, Maximum likelihood, Maximum likelihood estimation, MLE on December 14, 2017 by admin. This entry was posted in Machine Learning, Python, Tutorials and tagged classification, machine learning, Naive Bayes Classifier on December 14, 2017 by admin. This entry was posted in Machine Learning, Python, Tutorials and tagged classification, machine learning, Naive Bayes Classifier, python on December 12, 2017 by admin. DBSCAN (Density-Based Spatial Clustering of Applications with Noise) is a data clustering algorithm It is a density-based clustering algorithm because it finds a number of clusters starting from the estimated density distribution of corresponding nodes. It starts with an arbitrary starting point that has not been visited. This point’s epsilon-neighborhood is retrieved, and if it contains sufficiently many points, a cluster is started. Then, a new unvisited point is retrieved and processed, leading to the discovery of a further cluster or noise. DBSCAN requires two parameters: epsilon (eps) and the minimum number of points required to form a cluster (minPts). If a point is found to be part of a cluster, its epsilon-neighborhood is also part of that cluster. This entry was posted in Machine Learning, Python, Tutorials and tagged anomaly detection, clustering, DBSCAN, machine learning, noise removal, python on December 9, 2017 by admin. This entry was posted in Machine Learning, Tutorials and tagged Bayes Filter, machine learning on December 5, 2017 by admin. Silhouette coefficient is another method to determine the optimal number of clusters. Here I introduced c-index earlier. The silhouette coefficient of a data measures how well data are assigned to its own cluster and how far they are from other clusters. 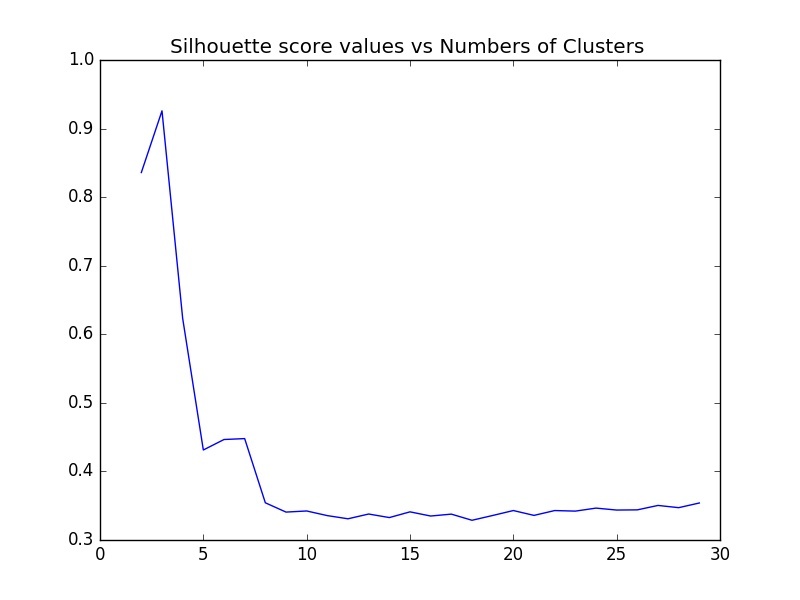 A silhouette close to 1 means the data points are in an appropriate cluster and a silhouette coefficient close to −1 implies out data is in the wrong cluster. 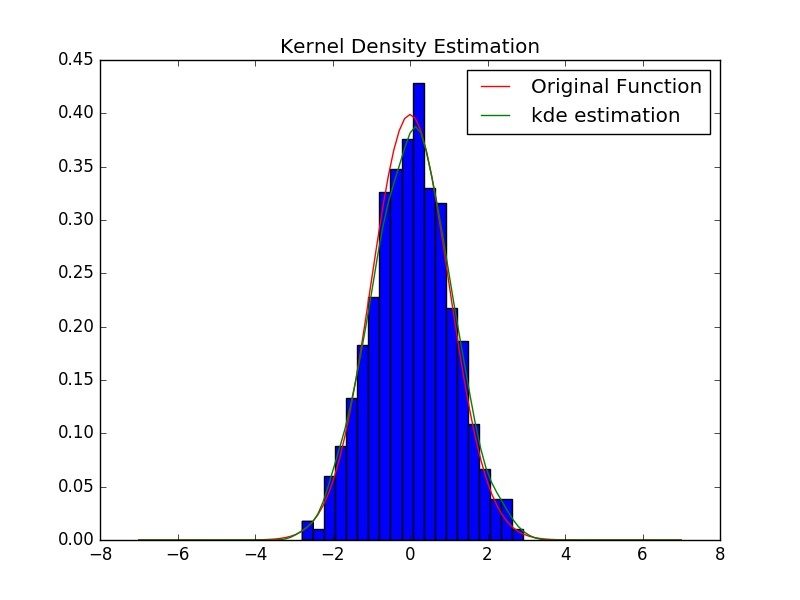 The following is python code for computing the coefficient and plotting number fo clusters vs Silhouette coefficient. print "Optimal number of components is:"
This entry was posted in Machine Learning, Python, Tutorials and tagged clustering, machine learning, Silhouette coefficient on December 4, 2017 by admin.